When it comes to sandwiches, we believe the bread is just as important as what you find between it. We’ve been baking in Somerset since 1925 so have four generations of experience when it comes to this vital sandwich ingredient. 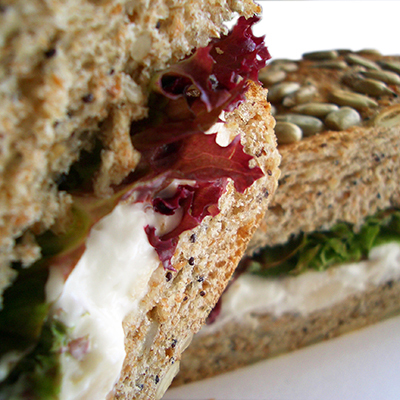 The freshness, variety and quality of our breads help make our sandwiches unique. As for the fillings we use only the best ingredients, sourced locally where possible. The sandwich shown here is handmade using an award-winning 3 Seed Wholemeal roll, British Chicken and fresh Lollo Rosso Lettuce.